I've had this blog post in my head for days and then at least three posts popped up on my Face Book feed that totally aligned with my thoughts. Is your life really such a bleak dark hole of misery that you can’t look around and find something…..even one thing that makes you feel thankful? It’s not; I KNOW it’s not. Even in my darkest most desperate moments, and I have definitely had some….. I have always been able to look around and spot the things that would brighten my way, that filled my heart with joy and that made me glad and grateful. So why, why, WHY do we spend so much time talking and drawing others into conversations about the negative? Because it’s easy. It’s an automatic default and once we give in to it the spiral begins. If we routinely give in then it becomes our natural response to everything in our lives. Darkness is just the absence of light. The light is always there, but we put our hand over our eyes and block it out. Our thoughts create whatever space we dwell in and those very thoughts are something we have absolute control over if we are willing to make the effort. We can spend our time talking about terrible traffic, fear, lack, the sniffles we woke up with, pollen, riots and confusion, pouring rain, being busy and overwhelmed……..
We can spend our time noticing the sunshine, seeing beautiful patterns in the rain, being aware of the people who are doing good in the world and helping others, grateful that we have work, a home, people in our lives, just plain glad to have two arms that do the work, two legs that take us where we are going, a voice to speak with, a smile to offer others……..
Getting control over where you focus your energy and your thoughts is just like taking charge of your diet, your exercise and your direction. It’s a discipline and one that we have to stay on top of. Developing mental muscle takes work and consistency. You have to be deliberate about it. When you decide to take charge of those thoughts and shift to the bright side, just like exercise, the more you do it the better you feel. The more you do it the stronger you become. The more you do it the easier it gets because you grow comfortable with the new pattern. Negative patterns of behavior are all around us. Reading our feeds on social media, watching or reading the news, listening to conversations around us; all are weighted on the negative side. I’m not denying the existence of challenge or negative things, but I am acknowledging our choice to dwell there or move on. Being positive often gets judged as “Polly Anna” or lacking in substance, even inauthentic. Those positive people just need to “get real”. Absolutely not…….show me a positive person and I see someone who is very intentional about where they place their energy. That’s a person who knows from experience that there is greater reward gained from taking note of the sky than in dwelling on the car that just cut them off in traffic. That’s a person who has experienced living in a negative world and CHOOSES to live differently. All you have to do is shift, then shift again. Become aware of when you are moving into that negative space and replace it instantly with something else. Go into active mental muscle training and start watching the light around you get brighter and brighter. Work becomes easier, relationships become easier, dealing with issues or challenging situations becomes easier……..
Give it a shot!! It’s so worth the effort and once you find that pattern and consistently live it, you won’t want to retreat to the dark side again!! Digital Distraction Disorder, ok I made that up but…….. I am an active user of social platforms. I believe in their remarkable ability to connect us to ideas, people and issues. But I recently found myself living on that line between something I really enjoy and compulsion or even addiction. So in the last few hours of my three-week solitary travel adventure, I decided to "unplug" from social for two weeks. My conclusion was that I had a really unhealthy relationship, particularly with FaceBook. My self-analysis during that break revealed some truths about my obsession. · It allows me to celebrate moments in the lives of people I care about; as they are happening. Even though I can’t be there, I feel that I am! · It gives me the opportunity to cry with and console people when they are struggling or in pain. · It provides a space for market research for ideas I am considering. · It introduces new ideas and issues to me that I might not have discovered for some time otherwise. · And ok, although I try not to do it too often, it lets me cry out in rage or pain or vulnerability and sends back virtual hugs and support and validation and consolation. But......without boundaries it is absolutely a barrier to my completion of projects and other goals, taking care of myself in some pretty important ways and ultimately to my overall daily success. Then when you combine social with the other distractions, email and text it's no wonder we are constantly overwhelmed and feel like we aren't accomplishing anything. So I don’t sit in judgement on this "disorder", but I believe that finding balance is IN order! · Your first thought is “I have to post this to FaceBook”, check my email and text messages. · Your location, your food, your thoughts, your pictures, what you’re doing……..you NEED to share that somewhere, right now, while.its.happening. · You absolutely HAVE to chime in on this discussion and then continue following the thread. · The first thing you do when you open your eyes in the morning and the last thing you do before you close them at night is “check in”, respond to everything outstanding and then tell everyone you are up or going to bed. So the question I started seriously contemplating for myself in those last few hours on the road was……… Am I checking in on FB and email and text more than I am checking in on me?? Has the distraction become so significant that I’m missing things, moments, miracles, opportunities that will pass me by while I am sharing it with my social world? Are there things, projects, tasks even goals that I am delaying because of this “distraction disorder”? My answer was YES!!!! So I spent two weeks in careful consideration of that relationship, established some boundaries that I believe are healthy and I’m back, here, today to begin again under that agreement with myself. Are you a victim of “digital distraction disorder”? 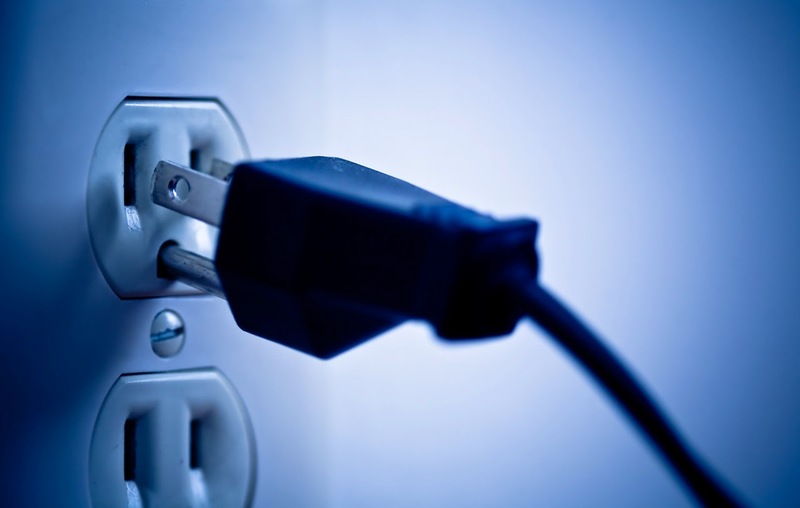 What are you missing or putting off because you just can’t unplug? It's a relationship just like all your other relationships to work, people, money, yourself. You have to find a healthy balance for this relationship and stop compromising yourself and your daily success. Start checking in on YOU more than you check in everywhere else! !